Coffee | Coding | Computers | Church | What does it all mean? The requested content appears to be script and will not be served by the static file handler. 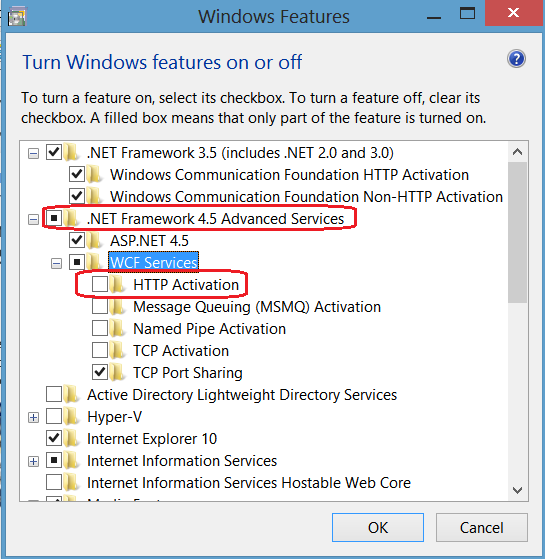 Most so-far extant posts on how to fix this, refer to how to fix it for .Net 3 on Windows before Win8: Use "%WINDIR%\Microsoft.Net\Framework\v3.5\Windows Communication Foundation\ServiceModelReg.exe" to register or to repair registration of WCF components. (The other gotcha being, having the right AppPool settings for .Net version & for 32 vs. 64 bit). Which should fix the issue after a couple of minutes. This entry was posted in Code, Computers and tagged .net, iis7, iis8, visualstudio, WCF on 8th May 2013 by Chris F Carroll. Thanks so much – I was about to scream. Adding your Outlook.com account to MacOs as an Exchange account.